Once a Scout has completed all of the requirements for a rank and had an adult leader sign them off in his book, he completes a form requiring signatures from various troop leaders and needs to contact the Scoutmaster to schedule a Scoutmaster Conference. A Scoutmaster Conference is an opportunity for the Scoutmaster to get to know the Scout better. The Scoutmaster asks the Scout about his family life, school work, interests, and about his Scouting experience. These are usually done outside of the Monday night meeting and can be done on campouts. Once the Scoutmaster Conference is completed, the Scout needs to report to the Advancement Table at the next meeting to schedule a Board of Review. A Board of Review is a meeting between three Adult Committee members and the Scout in which they discuss his Scouting experience and determine if he has gained all of the knowledge needed to be promoted to the next rank. If the Board of Review awards the next rank, the Scout will be awarded his new rank at the end of the Troop Meeting or, depending on time, at the following Troop Meeting. Troop 23 makes one additional requirement of its Scouts. 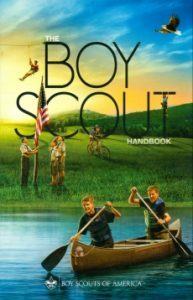 Prior to applying for a Board of Review for the First Class and Life ranks, a Scout is required to complete a Skills Review with an Assistant Scoutmaster. This will confirm that the Scout is retaining all of their Scouting skills.